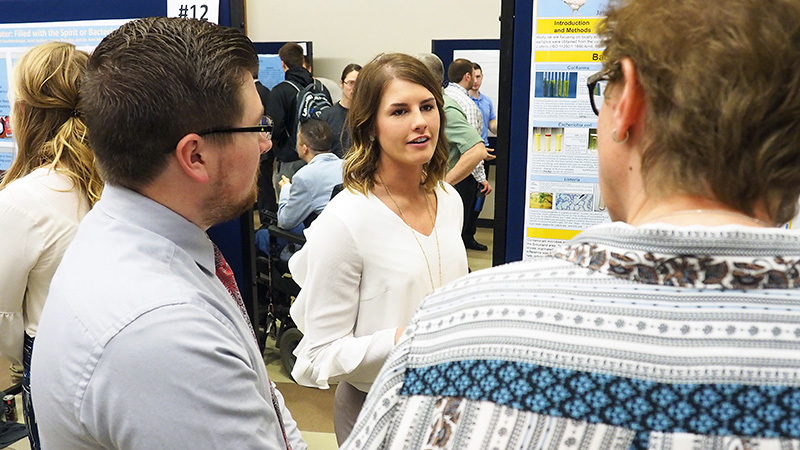 by Maggie Ganley – Wednesday’s (April 11) Palmer Research Symposium featured students from different departments around campus presenting their research. Although this can be a time when stress runs high, as presenters make the final touches on their presentations and posters, it can also be a time of high reward. 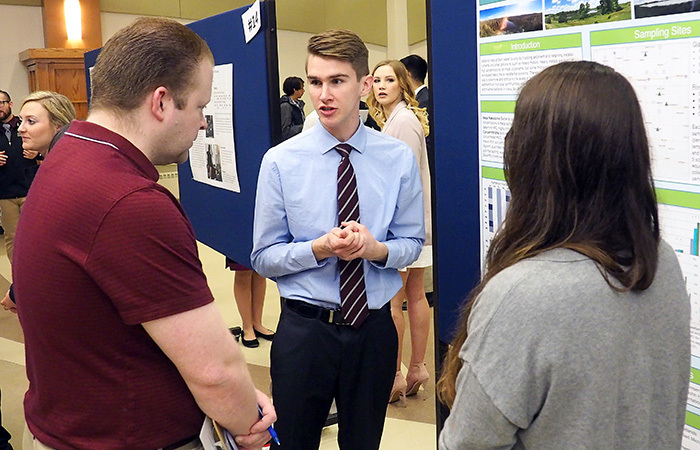 Jackson Allen, an education major, presented his final project from his Middle School Methods class. He knew presenting at Palmer was something he could put on his resume and felt compelled to present after watching how his classmates and professor reacted to his presentation last semester. “After I presented and saw my classmates and my professor’s reactions about how in-depth it was and how passionate I was, I thought I should present at Palmer,” Allen said. Not only did presenting help him work on his public speaking abilities, which will be vital when he graduates and becomes a teacher, but it helped him bring awareness to an issue he is passionate about – the impact bullying has on middle school students. Mikaela Livengood, an accounting major, presented a poster alongside one of her classmates from her tax class. Presenting not only helped her feel more comfortable speaking in front of an audience, but she was also excited that 2018 marked the first year an accounting category has been present at Palmer. 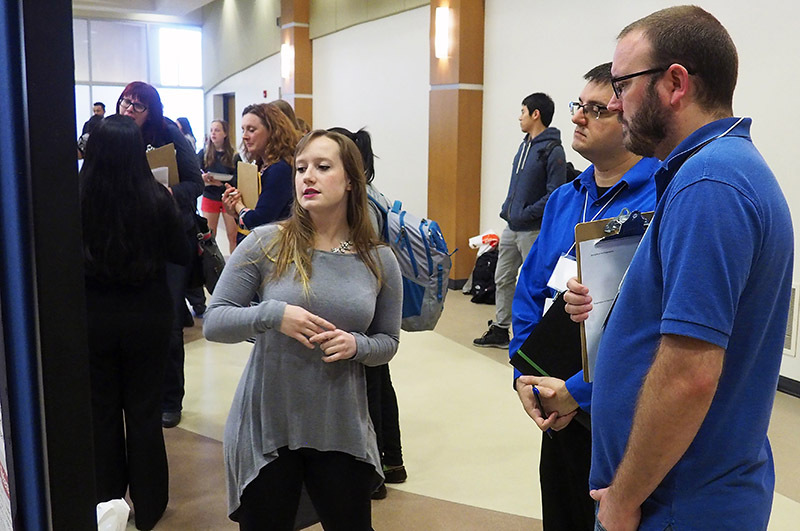 “I think it was a good experience and a nice confidence builder to have a one-on-one conversation with people about a topic in my field and be able to fully explain it,” Livengood said. 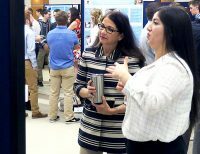 She enjoyed the poster format because she could have more one-on-one conversations with students and keep them engaged. Daphney Miller, a political science and religious studies double major, presented twice at Palmer this year. Miller presented “Patterns in Interpretation” and “Only Power Can Protect Peace,” two hefty research projects she has been working on this year. Although both of her presentations were for classes, she feels engrossed in her research and what it means to be an engaged American in 2018. Political science is her passion and she was glad to be able to share this passion with others. Neither project was fully completed by the time she presented, but she has spent 100+ hours on research alone. Presenting helped helped her receive constructive criticism on her work and show her what directions she can take in future research. 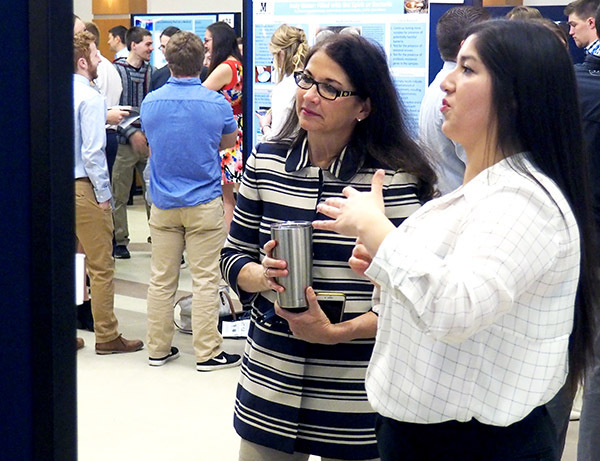 She found the experience of presenting and watching others show off their research rewarding. “Everyone I presented with has worked so hard and that it was nice to finally be able to see them proud of their work instead of stressed about it. The support of my peers and faculty, especially in the PoliSci department (where I spend most of my time), is what has kept me at Morningside and what has helped me develop a voice to be able to share my ideas,” Miller said. In short, Palmer is a great opportunity for students interested in showcasing research they are passionate about. Although it can take a great amount of time and effort, the experience is something that sticks with students and gives them vital experiences that can benefit them in the future.